Freshwater planarians, found around the world and commonly known as "flatworms," are famous for their regenerative prowess. Through a process called "fission," planarians can reproduce asexually by simply tearing themselves into two pieces—a head and a tail—which then go on to form two new worms within about a week. When, where and how this process unfolds has remained a puzzle for centuries due to the difficulty of studying fission. But now, a team of University of California San Diego scientists provides a new biomechanical explanation in the Proceedings of the National Academy of Sciences (PNAS). Planarians are notoriously difficult to study. They do not like to be watched during fission, which primarily happens in the dark and halts at the slightest disturbance. Because fission does not happen frequently—approximately once a month for certain species—continuous video recordings are required to capture planarians in the act to study the details of its regeneration. To understand where and how fission occurs in the planarian species Dugesia japonica, the researchers employed a mix of time-lapse video recordings, sensitive traction measurements, statistical analysis of hundreds of divisions and mathematical modelling. Eva-Maria Collins, an associate professor in the Department of Physics and Section of Cell and Developmental Biology, and her colleagues were able to predict where planarian fission occurs based on its anatomy as well as explain how the process happens using a relatively simple mechanical model. "Prior to our work, nobody knew where and how planarians divide," said Collins. "In fact, the last in-depth study of fission came to the conclusion that where fission occurs is unpredictable. Our results, showing that it can be predicted, therefore completely change the way we think about fission." In earlier findings, Collins and her colleagues showed that where a planarian divides determines the relative size of the two offspring and thus their chances of survival and future reproduction. It also may be key in understanding how this form of asexual reproduction can give rise to diversity in a population without sexual reproduction. As described in the PNAS study, the team found that fission always occurs in three stages: waist formation, pulsation and rupture. Waist formation is key to fission mechanics by creating a local, cross-sectional weak point. Then, extending and contracting pulses eventually cause rupture at the waist. 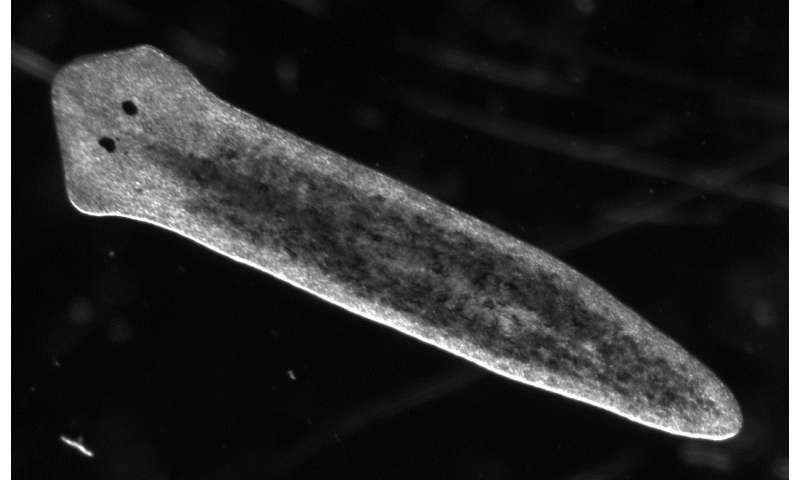 Once ruptured, the two pieces regrow missing structures through a large pool of stem cells, which are central to planarians' ability to regenerate. How the stem cells are distributed among the two offspring remains unknown and is the link between this new study's findings and ongoing research in the Collins lab on the evolution of asexually reproducing species. Michael Faraday, considered one the world's greatest scientists due to his physics and chemistry contributions, was reportedly fascinated by planarian fission. The intricate requirements of studying the worms may have prevented the famous 19th century physicist from fully deciphering the process. Collins said that she wanted to understand how planarian fission worked the first time she saw pictures of the process many years ago. 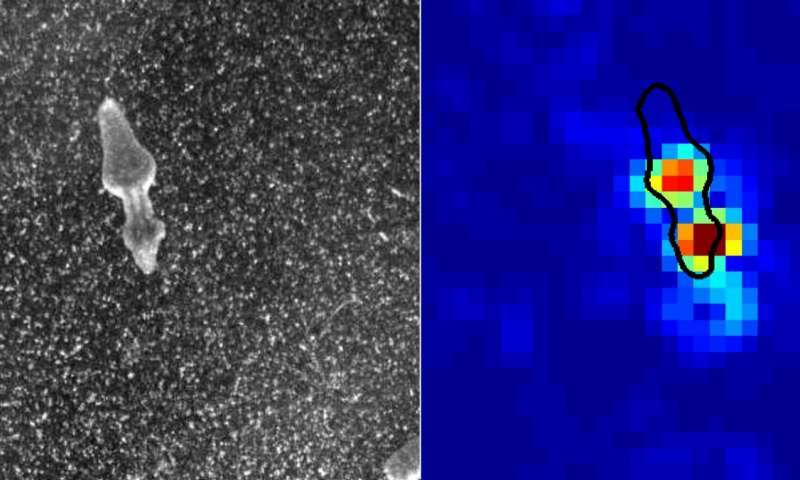 "Sometimes you simply see something in nature and want to understand how it works," she said, praising the contributions by co-first author Paul Malinowski and third-author Kelson Kaj, who were UC San Diego physics undergraduates during the research.